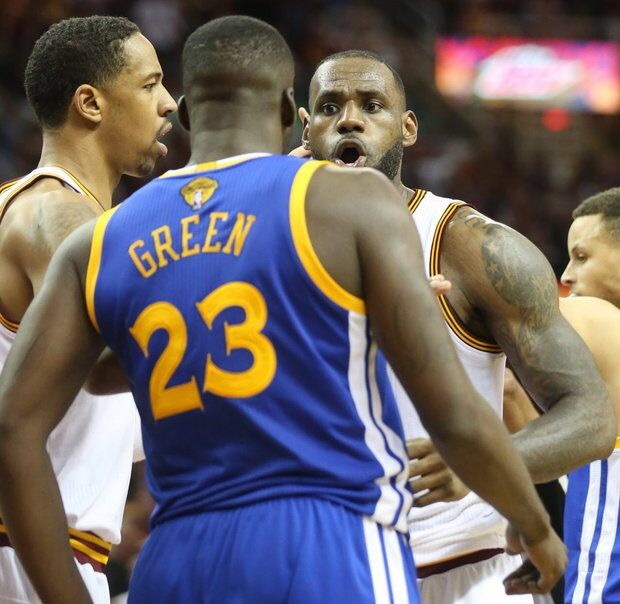 The NBA is lined up to get a rematch in this year’s finals that could go down as one of the greatest matchups of all time in the Finals. Cleveland and Golden State combined for an excellent Finals series last year, and the second round promises to be just as good, if not better. Before we dive into the next series, let’s take a look back at prior NBA Finals matchups and appreciate the legendary duels of Finals past. I did a list like this for the Stanley Cup Finals earlier this week, and I’m keeping the same criteria. The order of this list is comprised of what series featured the best competition between the two teams. The games should be consistently competitive, with both teams standing a chance of winning the series. This also isn’t going to be a collection of the greatest moments in the history of the NBA Finals. Michael Jordan’s “Switching Hands” layup against the Lakers in 1991 is one of the great plays, but that doesn’t make a 5 game series where it was clear who was better by the middle of the fourth game an all time series. The whole series had to have been a good battle and both teams need to have had a chance to win. I’m also not including the 2015 Finals on this list because we still need a little more time to process where that finals fits in the pecking order. With all that said, let’s get started. The late 1970’s were the dark ages for the NBA. The teams were losing money, the quality of play had declined, and the League was in trouble. There was still great basketball to be found in the dark ages though. The Washington Bullets (now called the Wizards) met the Sonics in 1978, and the teams played in the most forgotten Finals series ever played. Dennis Johnson, the most underrated player in NBA history, let his defense against the Bullet backcourt do the talking, but the forces inside for the Bullets named Wide Wes Unseld and Elvin Hays were too much for the Sonics to handle. Game seven saw the Sonics cut the Bullets lead down late despite their best player, Dennis Johnson, missing every shot he took in the game. Ultimately, the Sonics could not stop Hays and Bob Dandridge inside. It was an excellent matchup, but the timing of the series in the middle of the NBA’s dark ages, lack of influence on the league, and the simple fact of no one ever remembering it prevent me from putting it higher than #10. The Bucks used to be great. They won a championship in their third season in 1971 and remained a dominant team throughout the early 1970’s behind the dominant duo of Oscar Robertson and Kareem Abdul-Jabbar. They had a team that made it back to the NBA Finals in 1974 and ran into a revamped Celtics team featuring a few holdovers from the Russell dynasty, John Havlicek and Don Nelson, and new stars, including JoJo White and Dave Cowens. The ensuing battle became a quickly forgotten classic. Without Lucius Allen, an old Oscar Robertson got pushed around in game one, with the Celtics going ahead. The teams then traded wins for the rest of the series. The teams didn’t have many close games in the series, but game six makes up for all that. This classic game produced two all time NBA moments. First, Dave Cowens dove for a loose ball at the end of the fourth quarter, showing his determination. Then in double overtime, the great Kareem Abdul Jabbar sank a sky-hook to put the Bucks ahead and make game seven in Milwaukee a reality. The Celtics responded with pride and enthusiasm, and went to Milwaukee and won their 13th NBA Championship. The Bucks never rebounded, as Oscar Robertson retired after the 74 Finals and Kareem was traded to the Lakers in the fall of that year. The rematch never happened, but the one duel was outstanding. It is an underrated series, but its still a great matchup. But I can’t put it higher than ninth because it had only one legendary game. Breaking up the running of the Bulls that the 1990’s turned into, the Knicks and Rockets provided the NBA with a beautiful mix of throwback and new school basketball. 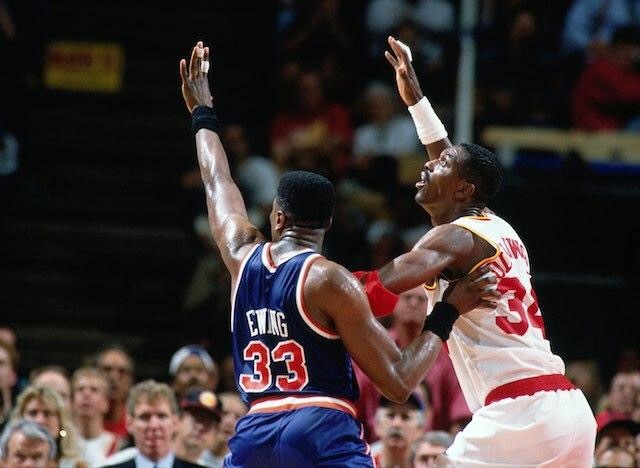 Its a throwback because the focus was on the duel of centers Patrick Ewing and Hakeem Olajuwon. The physical grit and toughness of the Knicks also added to the old school feel of the series. The play of Hakeem and shooting skill of the Rockets, meanwhile, added a new school flavor to the series that fitted the 90’s perfectly. The teams traded games at the Summit and Madison Square Garden, with New York taking a three games to two lead to game six in Houston. John Starks had a shot late in the game that could’ve won it. Instead, Hakeem blocked the shot on the outside and forced a game seven. Hakeem was too much for the Knicks in the end, and the Rockets won this underrated classic. This series is criminally underrated. I think that’s because the Detroit Pistons are the only modern team to win a championship without a clear Hall of Fame player on their roster. Outside of that, the series was a dream matchup. The last two NBA champs, the two best teams in the league led by two legendary coaches with attitudes fit of being champions. The buildup to the series was outstanding and the payoff was even better. The teams split the first four games and most of them were not close by the end, especially games three and four in Detroit. The Pistons won by 31 in game four and ran the Spurs off the floor early in game five. Luckily for NBA fans outside of Michigan, the rest of game five was a classic game worthy of archive in NBA lore. The Spurs escaped Detroit with a victory on a great late game performance by Robert Horry, with him making a last second three pointer to cap a 21 point performance. The Pistons won game six and forced the first game seven in the Finals in eleven years. The final game was a defensive war, a reflection of the way both teams played the game. Ultimately, Finals MVP Time Duncan was too much for the Pistons and the Spurs claimed their third championship since 1999. Both teams proved to be worthy competitors, and the series proved a classic. Ok, this is completely cheating. I can’t just leave the best player in the history of the NBA off this list. But I can’t figure out which series belongs here. He never played in a seven game NBA Finals, only in the Eastern Conference Finals and Semi-Finals. He did play in six NBA Finals. But which one is deserving of being here? Well not 91, that was only a five game series. 92 and 93 were good series, but watching the tape makes me think that neither the Trail Blazers or the Suns could mount a major challenge to Air Jordan. 96 was a good series, but the Sonics didn’t feel like they could mount a big enough threat after falling behind three games to none. Then we get to 97 and 98 and for the life of me, I cannot separate these two series. They both felt like close series, both saw the participants execute their game plan to high levels, and showed how good they were. So I’m going to combine these two series into one listing. So what happened in these matchups? Well in 97, the Jazz finally broke through the Conference Finals and went to the NBA Finals. They met the greatest dynasty of the age and played well to open the series. But Karl Malone missing free throws, Michael Jordan making a game winning shot at the buzzer of game 1, and defensive lapses in game two resulted in a 2-0 series lead. Utah tied it up after a dominant game 3 win and an overtime win on a long pass from Stockton to Malone. This set up a great matchup in game five. With momentum hanging in the balance, Michael Jordan got sick. The Jazz capitalized and took a big lead early. Jordan responded with the heart of a champion and scored 39 points to lead the Bulls to victory. Back in Chicago, game six was a hard battle that went right down to the wire. A last second shot by Steve Kerr and a late steal by Scottie Pippen ultimately ended the duel. The next year was a chance at revenge. The Jazz now had home court advantage and won game one in overtime. The Bulls responded with three consecutive victories. The wins included a messy win in Utah, the worst performance by one team in Finals history when the Bulls won game three 96-54, and a tight win in game four. The Bulls lost a chance to close out the series at home and Utah could force a game 7 back in Salt Lake City. The teams engaged in a legendary duel in game six with their stars carrying them down the stretch. When down three in the final minute of play, Jordan single handedly won the game with a layup, a steal from Karl Malone, and the famous “Hold the pose” shot over Bryon Russell to seal the win for the Bulls. Both series were epic, both teams were essentially the same in both series, and both deserve recognition. Because of that, both series are being listed together and here in the middle of this list. I can’t put them higher because the series never went the full seven. These series did push the great Michael Jordan to his limit and that merits the 97 and 98 finals landing on this list. The oldest series on this list and quite possibly the one with the most interesting backstory. The Celtics had won ten championships since Bill Russell arrived in 1956, beating the Lakers six times in the finals in that time. The Lakers needed to add a center to the formula that already included Hall of Famers Jerry West and Elgin Baylor. 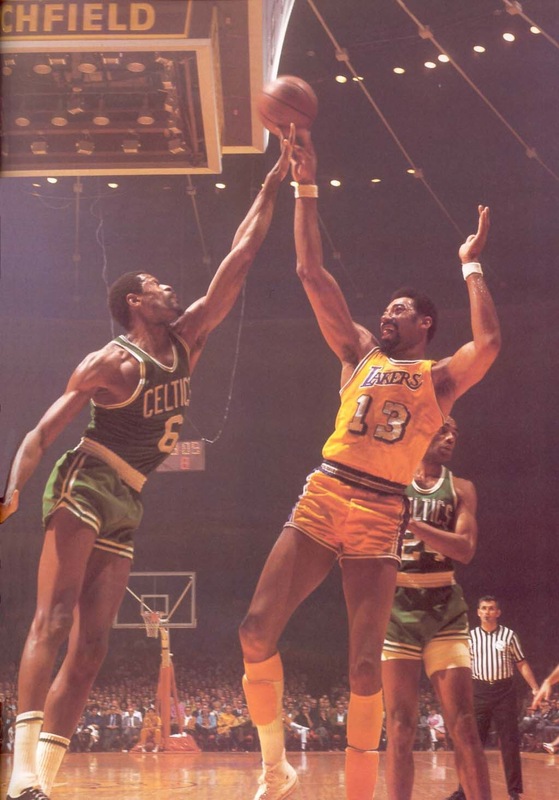 They traded for Wilt Chamberlain, and were favored to beat the aging Celtics. Through the first six games, the home team defended their home court. Game seven was in LA, and the owner of the Lakers, Jack Kent Cooke, was so confident his team would win that he printed the celebration plans on papers that were taped to the seats. Bill Russell found a sheet before the game, read it to his players, and used it for motivation in one last duel. The Celtics jumped out to a lead early, then held on for dear life as Jerry West launched a personal assault on the Celtics. Don Nelson’s miracle shot at the end helped the Celtics down the Lakers one more time with Bill Russell at the helm. I am a massive Celtics fan. They are my second favorite team in professional sports and Paul Pierce is my favorite athlete of all time. This only makes the 2010 matchup against the Lakers more soul crushing. Like other series on this list, its a rematch series, and was a rekindling of the greatest rivalry in the sport. The teams met in 2008, and Boston walked away with a massive victory in game 6. The rematch was a duel that the NBA had to wait two years for, but it was worth the wait. The Celtics and Lakers battled through Ray Allen’s record setting game two, Derek Fisher’s heroics in game four, the Boston bench winning game four by themselves, the Celtics grinding out game five, and Kendrick Perkins tearing his ACL in a game six blowout. This set up a game seven, and the final game was a brutal war. The Lakers came back late in the game, capping the first Celtics loss in a game seven in the NBA Finals with Ron Artest’s three pointer and Sasha Vujicic’s free throws. The Lakers won the rematch and the Celtics have still not recovered from the loss. The most recent series on this list will be talked about for years to come. It deserves it, the Spurs and Heat have been the two best organizations in basketball for the first half of the 2010’s. They finally met in the 2013 Finals, and the teams combined for a duel for the ages. Tony Parker won game one with a soft kiss off the beackboard. The teams then traded victories until the most famous game in the series, game six. The Spurs were one game away from winning the championship, and held a lead late into game six. However, when the final seconds arrived, the Heat refused to die. Ray Allen’s famous three pointer in the corner tied the game and forced overtime, which the Heat won, and then game seven was just as good and tense. Tim Duncan missed a bunny in the lane that would’ve tied the game late, and LeBron James closed the series for his second championship. If you’re from Boston, this series was a moment you looked at and said, “Who do I hate more?” The Lakers were the main rivals of the Celtics in the 1980’s and could run anyone off the floor, but the Pistons were much more physical and more difficult to play as a purely physical and mental matchup. This clash in basketball styles, and the friendship between the two point guards, made the matchup compelling and interesting. The Lakers were favored, but the Pistons did not yield ground. The teams split the first four games of the series, and traded blows in the middle of it. When the series shifted to LA for game six, Isiah Thomas wanted the win and had a quarter for the ages in the third. He rolled his ankle badly, and in the same quarter, scored 25 of his 43 points. Isiah’s performance kept the Pistons close, but it could not seal a win. Kareem hit two late free throws to win game six, then James Worthy won game seven almost by himself as the Pistons were denied a championship for one more year. The war was brutal but beautiful and memorable for all basketball fans, even in Boston. The greatest rivalry in all of basketball, the greatest players of the day, and the renaissance of the NBA all were on full display in this matchup for the ages. Magic Johnson and Larry Bird has won three of the first four championships contested in the 1980’s. But they hadn’t met for the championship since the 1979 NCAA Championship game. In June of 1984, they led their squads into the NBA finals for a renewal of basketball’s greatest rivalry. LA opened with a big win in game one, then choked away game two when Gerald Henderson stole James Worthy’s pass and Magic Johnson dribbling out the clock in regulation of a tie game. After that, the Lakers ran away with game three in LA. Boston countered with Kevin McHale clotheslining Kurt Rambis and winning game four in overtime. Boston sweated out game five in a hot Boston Garden, and LA won game six in the Forum. 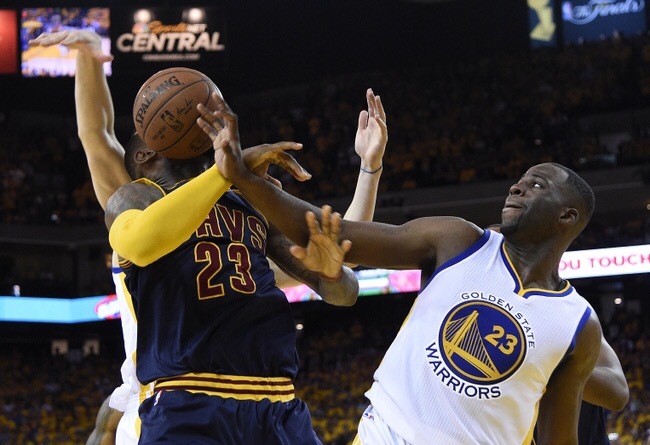 Game seven proved to be the matchup the NBA wanted to cement their place as a seminal sports league, with the highest ratings for any show for CBS that year. Cedric Maxwell led the way in scoring and assists for the Celtics, and the Lakers were finally downed. It had close games, important historical impact, and a legendary cast of characters. Nine players in this series are in the Hall of Fame and both coaches are in the Hall too. For the level of competition and for historical impact on the NBA, the 1984 NBA Finals take the top spot on this list. Well the NBA Season is finally over and it was quite an ending series. I know this wrap-up is a few days late, but I’ve been working! Plus the few days between the end of the season and now have helped me process a few things and I now have a few thoughts to get across here. 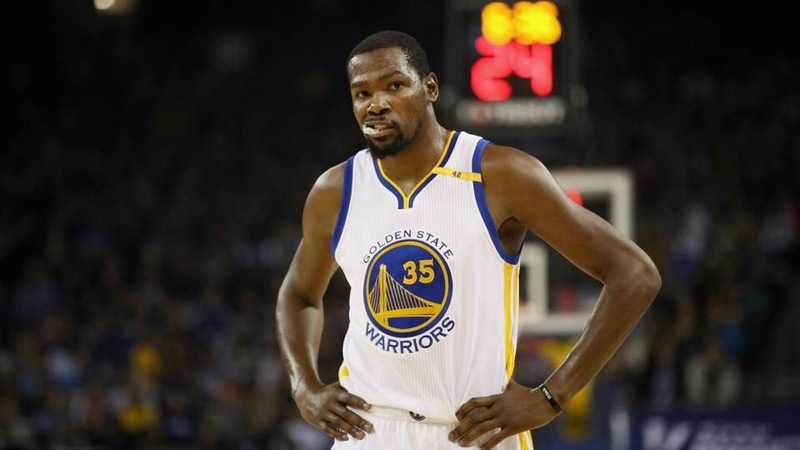 Before the series got underway, I gave a prediction that the Warriors would win in 6. I ended up being 100% correct. How they would win did surprise me a little bit, though. No one expected that Kyrie Irving would go down with a bad injury. No one expected that the Cavs would be that competitive after Kyrie went down. So why did they stay competitive? Because LeBron James is the best basketball player in the world and he showed that masterfully. He averaged 35.8 points, 8.8 assists, and 13.2 rebounds a game. He was the best player on the floor for every game, except game 4. 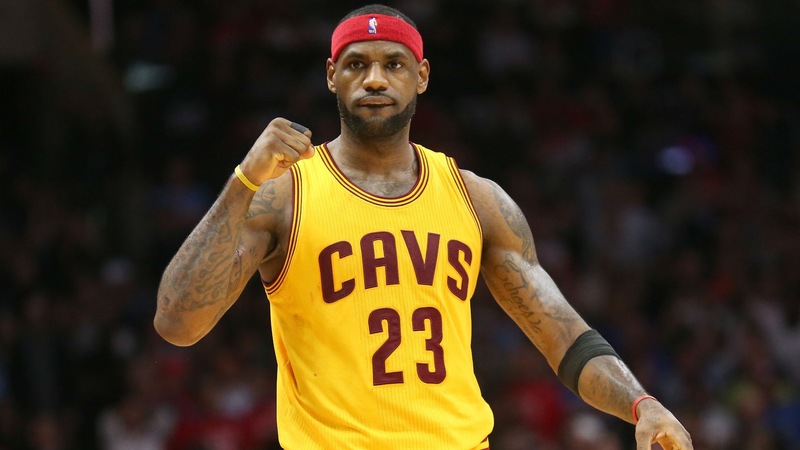 The Cavaliers had the best player in the world and no one else. Matthew Dellavadova played good defense, but his play was overhyped by people like Skip Bayless and he was beat by Curry in games 5 and 6, which cost his team the series. Tristan Thompson played well, but wasn’t quick enough to give enough offense. Timofey Mozgov had one spectacular game in game 4, but no one else played well enough to give Cleveland a win, as they were blown out at home. And the rest of the bench was weak, with Shawn Marion and Kendrick Perkins there in cameo roles at the end of championship careers. Golden State was the better team the whole way. 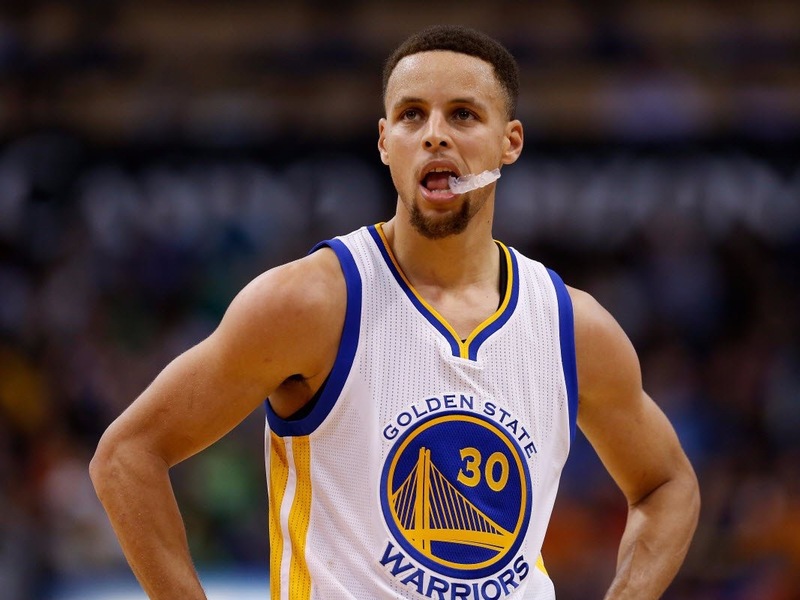 ESPN frequently set up the series as a duel between Steph Curry and LeBron James. It’s an easy dichotomy to try and work with, and the NBA has done this sort of thing to market its series with varying levels of success in the past. Russell vs Chamberlain was a fabulous success because they were the best players at the most important position of the day: Center. They won many championships and combined for some of the best match ups of NBA history. 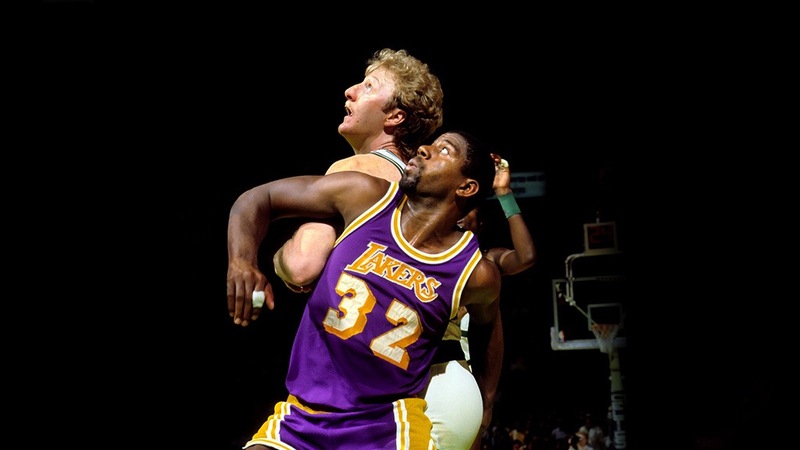 Magic vs Bird was also a fabulous success because the Celtics and the Lakers were involved, they had similar roles on their teams, and were two of the greatest players of all time. Hakeem vs Ewing worked because of the similar position and role in the team, and because of the college connection. But it didn’t last beyond 1994. 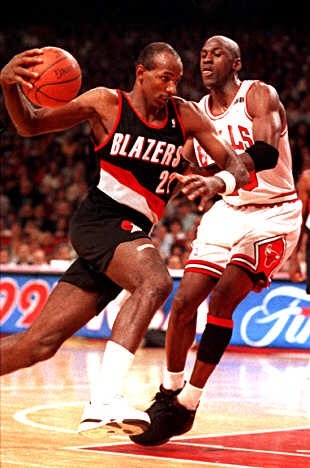 Clyde Drexler vs Michael Jordan was interesting. Same position, same roles, great teams. But it only lasted a year, 1992, and Jordan was so clearly the better player and it wasn’t that terribly interesting a matchup, to be honest. Steph Curry vs LeBron doesn’t really work because while the two are the best players on their respective teams, they play completely different styles of ball. Curry thrives on his ball handling, passing, and shooting. He is the epitome of a finesse player. But he isn’t big or strong and hasn’t shown that he can take a beating like Allen Iverson could, for example. LeBron James is a physical freak. He can play physical basketball better than most who’ve ever played. His dunks are monster jams like no one else, and he can make interior passes like no ones business. But he can’t shoot the outside shot at effectively. These two are not comparable players and they are not rivals! They are too different to be comparable players. The series wasn’t a duel won by Curry over LeBron, it was a battle between Cleveland and Golden State, and Golden State was a better total team. Curry had a cold start, but special games in the 5th and 6th games. Thompson was consistently good. 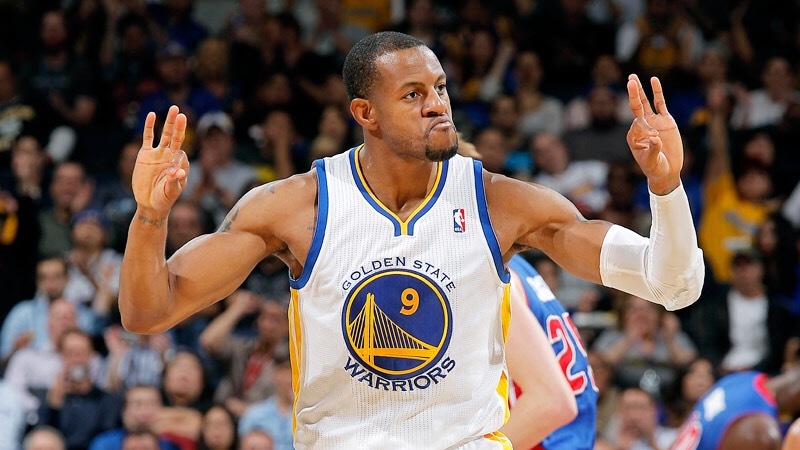 Draymond Green played well, and Andre Iguodala was special when he was out in the starting lineup. While LeBron was the best total player in the series, Iguodala could to defend LeBron and limit him enough to give Golden State a chance to win. And his offense was enough to put the Warriors over the top. 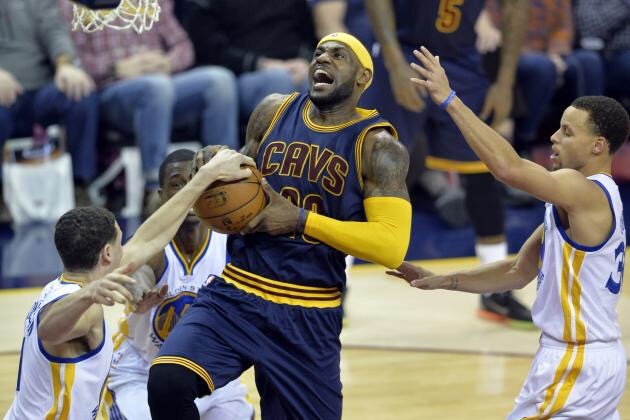 The team was better than Cleveland’s injury riddled mess of a basketball team. The series was that simple. Now to take a few months off from hoops before the next NBA season!